Effective Blog Analytics Is A Crucial Component Of A Productive Inbound Marketing Blueprint. Before I give you our assessment of this new cutting edge blog analysis tool created by HubSpot Inbound Marketing, I think it may help if you understand that the idea of a blueprint connected with your inbound marketing, isn't a very accurate or realistic concept. Why? Because an inbound marketing plan MUST be flexible and the traditional use of a blueprint implies a hard and cold structural plan. The art and science of inbound marketing is expanding faster than ever before and any "blueprint" must be created with significant breathing room. 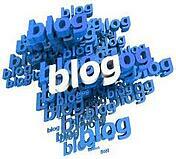 In fact, this is the foundation of our inbound marketing blog post. HubSpot, who we find to understand more about inbound marketing than any other marketing software developer or consulting firm consistently demonstrates this understanding. A close examination of their operation and development reflects this critical understanding and gives us (VSS) extreme confidence in relying on HubSpot as a software provider. They demonstrate this by consistently, accurately expanding & developing their inbound marketing solutions. Many firms develop software or another solution and then place all their eggs (and their customer's eggs) in that basket while HubSpot regularly evaluates direction, customer need and their product's productivity in a constant effort to improve and remain on the cutting edge of this exploding inbound marketing industry. That strategy creates a loyal following (rightly so). With this in mind, it's important to understand how fast the process of successful inbound marketing grows and install a product and product support that keeps your operation advancing with continued momentum. Understanding the growing mountain of elements that go into successful inbound marketing, HubSpot has announced the advancement of their analysis and evaluation tool that includes a rock solid blog marketing tool. If you haven't come to the realization that creating, developing and managing a powerful blog is a large component of successful inbound marketing, I am here to tell you that it just may be the single most effective element of your marketing strategy. What is included in a comprehensive inbound marketing strategy? Remember to always consider the 3 components of a business funnel (top, middle & bottom). The better you can develop each of these levels, the more success you will achieve. Think about this... content is king and your blog is the living, breathing component of your inbound marketing strategy more than most others. This is the place where you can keep your content updated on a regular bases. 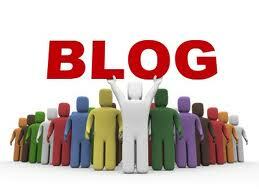 HubSpot has created, and massively improved the ability to develop and manage a successful blog. This is important because a blog that doesn't incorporate all of these powerful items will hamstring it's ability to compete. Your blog must be effective and by using HubSpot's new, razor's edge evaluation and analysis tool will keep you or your team from spinning wheels. New, compelling & remarkable content. New space (pages) to insert effective & relevant keywords. New opportunity to secure attention from the major search engines. New opportunities to attract inbound or one way links. New opportunity to attract comments (more content) from readers. It remains alive and isn't as static as a traditional web pages. Fresh material you can promote through your social media platforms. A method to build subscribers & expand your reach. In essence, you are killing 8 birds with 1 stone... This is a tremendous amount of ammunition that comes from one single HubSpot solution as only a part of their inbound marketing application. In fact, I would venture to say that with all things (technology) being equal, creating a compelling blog post (accurately) may be the single most effective use of your time and budget. Using HubSpot's new blog analytics application makes this process significantly more effective and productive.